[/mk_fancy_title][mk_fancy_title tag_name=”h2″ style=”false” color=”#282828″ size=”18″ font_weight=”normal” font_style=”inhert” txt_transform=”none” letter_spacing=”0″ margin_top=”0″ font_family=”Raleway” align=”left” font_type=”google” margin_bottom=”18″ el_class=”font-medium”]This weird design warp transports you into a futuristic world collaborated out of seamless curves, uniform colours and minimalist furniture. 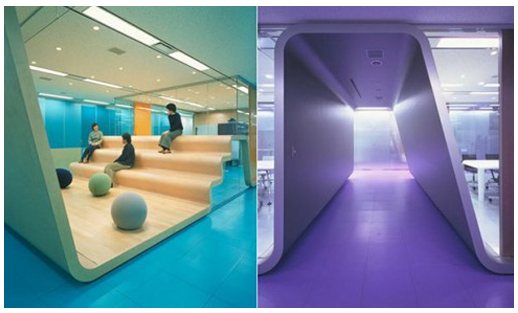 Beacon Communications in Tokyo, Japan is the brainchild of Leo Burnett. In 2001, the company was formed by a merger between Leo Burnett and D’Arcy. The Beacon Communications website mirrors this same unusual yet trendy design. In fact, their website is a must-see intergalactic design of its own decree. 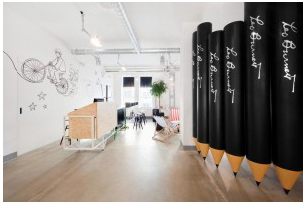 So who exactly is Leo Burnett? [mk_fancy_title tag_name=”h2″ style=”false” color=”#000000″ size=”18″ font_weight=”normal” font_style=”inhert” txt_transform=”none” letter_spacing=”0″ margin_top=”0″ font_family=”Raleway” align=”left” font_type=”google” el_class=”font-medium”]Leo Burnett was an American advertising executive and the founder of the Leo Burnett Company, Inc., also known as Leo Burnett Worldwide. He was responsible for creating some of advertising’s most well-known characters and campaigns of the 20th century. In 1999, Burnett was named by Time Magazine as one of the 100 most influential people of the 20th century. 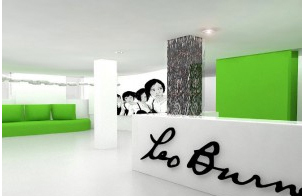 Check out our article Iconic Designers: Leo Burnett for more insights into this legend’s life and design. 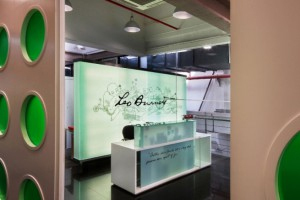 Leo Burnett Company, Inc. was originally formed in 1935. 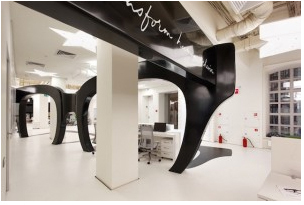 Today, Leo Burnett Worldwide comprises 103 offices globally, and employees over 9,000 people. By the end of the 1950s, the Leo Burnett Company was billing US$100 million annually. Leo Burnette Worldwide has 3 offices in Australia; 28 in Asia; 40 in Europe; 7 in Africa; 13 in North America; and 11 in South America. 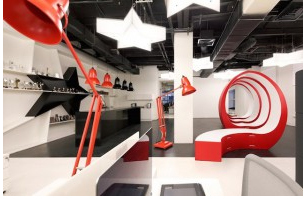 Let’s take a look at some of his other global innovative offices. If you’ve written ‘get more done’ for your 2015 goals then why not try a productivity app? Many managers these days are turning to mobile apps for organising contacts, attending meetings and keeping in touch with team members. If you feel you and your team could benefit from a mobile app to make the most of your working day, then take a look at these for inspiration.